If you want an accounting job - either with the Big Four or in an accounting role in an investment bank, you will need to craft your CV (or resume) carefully. Accounting is an an increasingly complex and dynamic business environment and you need to market yourself carefully. In my experience, every accountant wants their technical ability to really shine on their CV. That’s understandable. But many fall into the trap of simply documenting all the finer details of technical accounting processes, without putting it into context for the reader. You need to remember that your CV is a marketing document: you need to sell yourself, and you need to write for an audience that may not be an accountant (or aspiring accountant!) like yourself. The first thing you need to do is to get your CV past the robots. - These are the so called applicant tracking systems which typically check your resume to make sure it contains the next skills before passing it to the next stage. If the ATS can't find the right words, your resume won't get past first base. To ensure your CV covers all the important keyword areas, align your bulleted achievements to standard accounting competency frameworks. ACCA and CIMA both provide these. 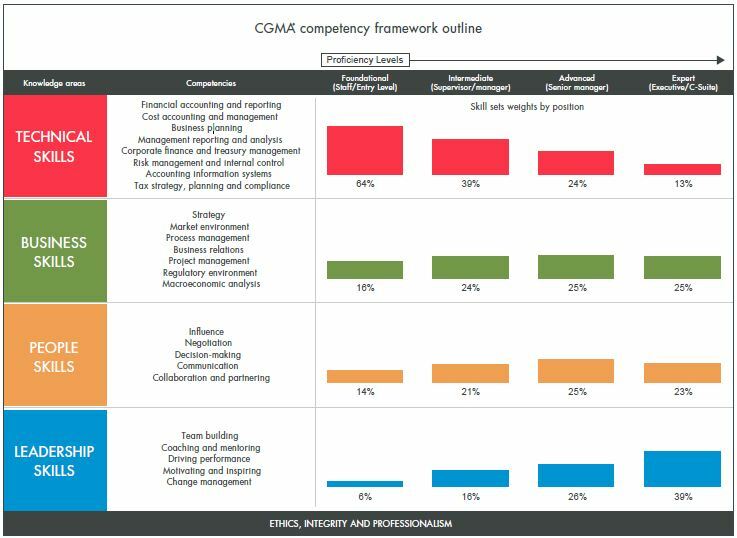 As you’d expect, CIMA’s framework has a management accounting bias.- CIMA’s framework is split into four knowledge areas; technical, business, people and leadership. The latter three are particularly relevant for accountants who are interested in wider business roles. These include management accountants, FP&A managers and finance business partners. The best way to structure your CV is as a series of bullet points. Each bullet needs to describe what you achieved. Start each one with an outcome that was beneficial to the business and a keyword if you can. Try to include the following technical competencies (although this isn't definitive!). Financial Management: Implementing finance decisions to maximise value creation in areas including investment appraisal, business re-organisations, tax and risk management, treasury and working capital management. IT Finance Systems: Designing, planning, configurating and implementing accounting systems, or as finance lead for integrated ERP configuration. For each of your bullet point achievements, think carefully about what you did and try to reflect the outcome in a way that can be measured numerically. ‘Guestimating’ with integrity is absolutely fine. Remember to keep the language simple, so it’s easy to read and accessible for all relevant audiences!